"Playwright Scott Garland’s effortless juxtaposition of youthful whimsy and gut-wrenching uncertainty is both refreshing and original." 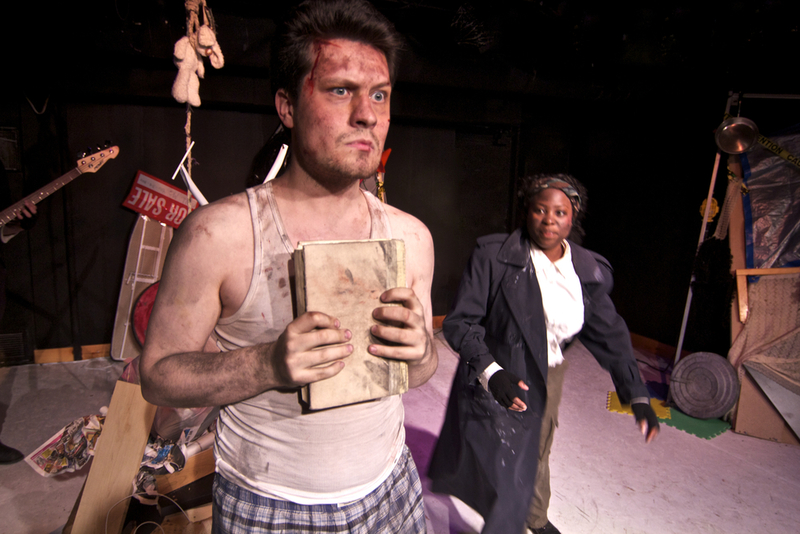 "If you have yet to acquaint yourself with indie theatre, I would certainly start with this." "...long after you leave the theatre, the chanting will haunt you: Half a league, half a league, half a league…"
Rarely Pure Theatre is incredibly proud to introduce a stunning new play as part of Fraser Studios first indie theatre season. Half a League, written by Scott Garland and directed by award winning writer and direct, Alexander Offord, will showcase in Toronto from May 6th - May 31st, 2015. In an outpost composed entirely of trash, Half a League follows Peter, Jim and Sam play soldier. Toiling away the hours performing assigned tasks and recitations of Charge of the Light Brigade, they eagerly await the return of the post’s founder. The game then changes when an unexpected visitor stumbles upon the outpost, and their dynamic is shifted forever.